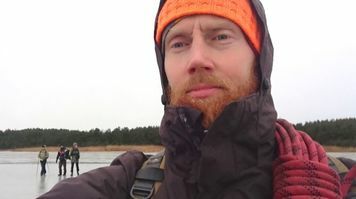 I am Martin (36) and I live with my family in northern Estonia, in Lahemaa National Park. I was born here and also plan to raise my sons Thor and Roald here. As a child of the Soviet era I spent most of my childhood outdoors – grazing grandmother's cows and playing in the forest. Hence, being in the nature and respecting the forest began early. At the age of 20 I started hiking in the woods on my own. I like being alone as much as I enjoy having company in the forest. But I have noticed that being alone with nature makes me come back as a better father, man and human. I have discovered Estonia on foot, by bicycle and by car and journeyed on our sea and rivers by kayak, rubber boat and raft. I have followed the routes marked by the State Forest Management Centre (RMK) and trekked in the forests all around Estonia. Foreign trips have taken me from the Svalbard Mountains to Kamchatka, from the mountains of Peru to the plains of Moldavia. In 2017, I started studying at the Luua Forestry School to become a nature trek guide. In addition to forest tours I also do woodwork. When guiding others in the forest I wish them to see and hear more than just the wind murmuring through the trees. I would like my guests to become aware of the diversity of our forest, stop for a moment and notice the life around them, listen to the sounds, see the traces of animals and find a good vibe.